Linen is an exquisite natural fiber, known for its durability, beautiful sheen, and wicking properties. It is cool to wear in summer, naturally antibacterial, resists soiling but needs ironing. The plight of linen is a heart breaking story. Once the fiber grown in every croft and cottage for household use. Once spun and woven by every household in Canada and passed on to grand children. Once deemed the test of a handspinner’s expertise. Linen has almost disappeared from home industry. Linen flax, the catalyst of a major industry in Europe, is now sent to China for processing. The long, luxurious fiber is chopped into tow and processed on cotton machinery (cottonized) to produce lower quality textiles that wear out quickly and feed a throw away, consumerism. The smooth, sheen and soft hand of traditional linen that aged with beauty and became softer with washing, has fallen to industrial expediency. Very few handspinners are still working with linen. Once you could buy linen stricks for handspinning, but now only tow roving is available — processed on wool carding machines in China. Linen thread is still being spun, in China. 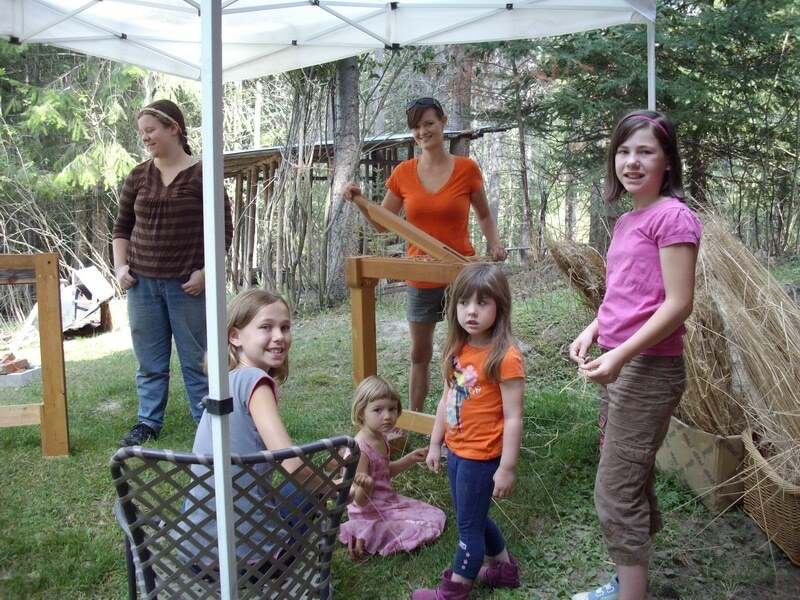 Our daughters and sons have never seen linen processing by their grandmothers. In fact the grandmothers of today might have only seen linen demonstrated at fairs and reenactment camps. The skills are almost lost. Linen is the heritage of human culture and history. People have grown and processed linen since the time of the Pharoahs at least, and the skill may be older. We still use the same steps to process linen as were used in Ancient Egypt. 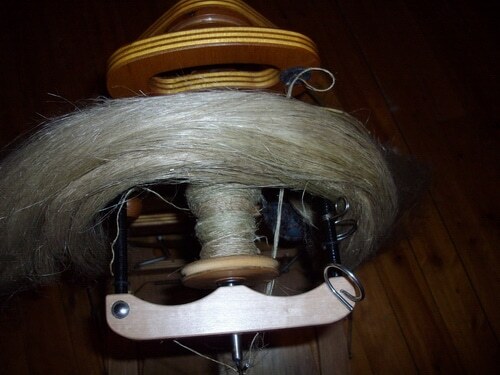 6. hackled to further separate the fibers and put them into order for spinning. These steps used to be the work of the farmer who grew the flax – steps carried out during the long winters. Farm wives often spun the line into thread. And some farmer’s, including Mr. Joybilee’s 5 x great grandfather, John Brown of Carpow, wove the linen into yardage on barn looms — another winter passtime. Now, in our modern busy-ness, we think that linen prep and spinning take too much time. That wool is easier to process and spin than linen. But its not true. Wool also needs preparation — shearing, skirting, sorting, washing, picking, carding, before it can be spun. But we have watched the grandmothers work with wool. We see spinners and weavers working with wool at the fairs and so wool work is familiar and accessible. But linen is in danger. Its survival as a plant is threatened by industrial homogenization. The GMO flax crisis in Canada in 2009 endangered it further, ensuring that lone line linen flax seed is hard to find. 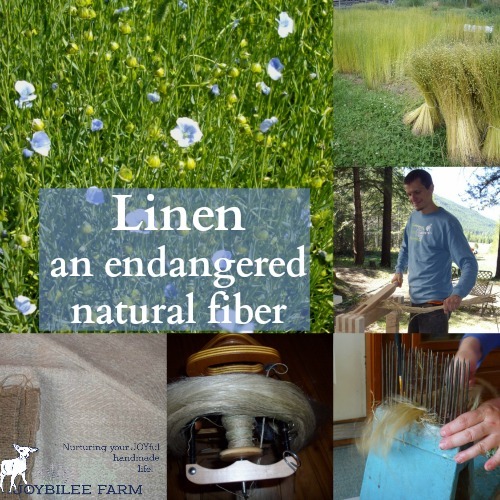 Grow a little linen today and keep this endangered natural fiber from extinction. Where to find linen seed? I just looked them up and they no longer carry flax seeds …. I bought flax seed from Richters this year (2019). Could it be that they had a limited supply and you were too early or too late? Many of our grist Mills in N C and northern GA. sell flax seed by the pound, where bread flours, corn meal, and grits are fresh ground on site. They add flax to recipes. Some grocery stores also offer flax seed in the baking isle. 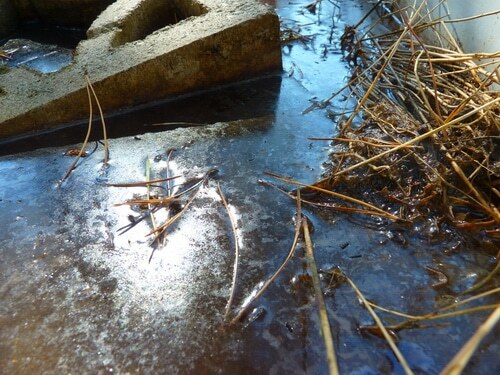 This seed is not treated, and grows and blooms beautifully, even after being frozen. Its a beautiful addition to any cottage garden, or historical living history farm. This is oil flax seed. Unfortunately, it isn’t fiber flax seed. 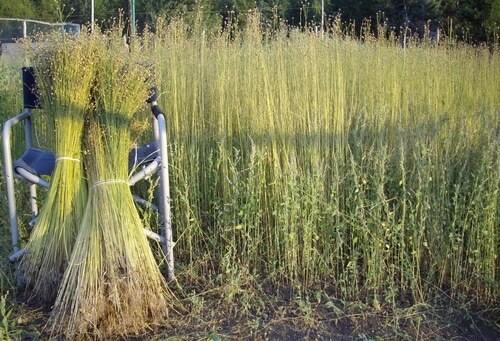 Fiber flax seed is smaller than oil flax seed and the plant grows about 4 to 4 1/2 feet tall, rather than the 18 inches tall of most oil seed flax plants. Yes, oil seed is easy to come by. 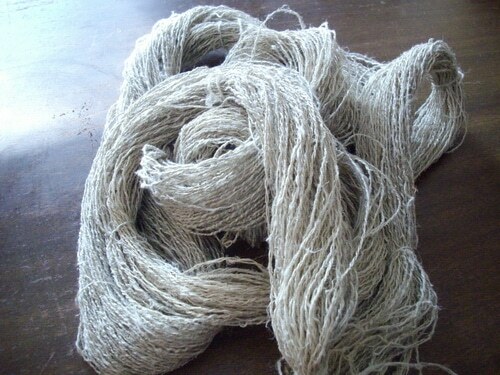 I don’t know if they can ship to Canada but http://www.woolgatherers.com/ has Flax for linen seed for sale. I worked as an historical interpreter at the Ontario Agricultural Museum (now the Country Heritage Park) for 7 years. The Clark-McLeary House was a log cabin that we used to demonstrate 19th century rural Ontario textile production. 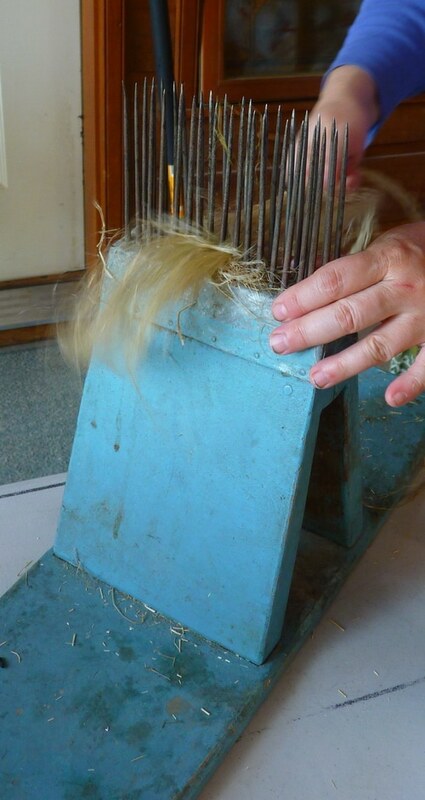 We grew flax and processed it using the above-mentioned equipment to weave linen toweling on the 1860’s floor loom. We bleached the toweling in the sun to make it supple and soft, and dyed some of the linen thread with indigo dye for pretty striping. It made for a welcome change from spinning, dying and weaving wool yarn. I am a volunteer in charge of the Garden and Garden House of the Village of Zoar a historical village that is like stepping back in time. It was founded by German Separtist in 1817 who called themselves Zoarites. They were well know for the linen and had huge fields of Flax. 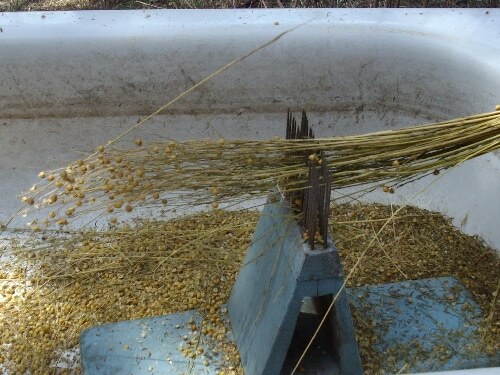 We are trying to bring it back the art of growing flax and then going through the process to create linen by weaving. We have 5 original weaving machines and want to bring back this part of the villages history. We also want to use this as a lesson for our students during summer camp. Any information you can provide regarding the best method to plan Flax would be greatly appreciated. I saw that you offer seed for sale and we are meeting this morning to determine how much we will need to get started. We broadcast the flax seed over prepared ground and then firm it in by walking on it. We are sold out of flax seed for 2011. Right on-this helped me sort tnihgs right out.